“I hope I don’t need to go on medication,” Mr. Roger wondered. “Let’s give it another two weeks. Continue the measures with your ePrex daily. I will receive the numbers and we’ll make a decision on the next visit.. Let’s check your sugar level. Please insert your finger where the green light is”. Mr. Roger slavishly obeyed. "I will keep you on the same medication for now. I get that you need a refill", the doctor said, "Let's check your knee. I will do an x-ray. Please move your chair forward and place your knee in between the grey pads". Two clamps gently held his knee in place, and within moments, an image was displayed before his eyes. This was Mr. Roger paying a visit to his doctor in which his prescription for Metformin was refilled. The doctor dispensed the medication from a cavity in his torso. Mr. Rogers fingers reached into the doctor’s belly and picked up his elixir. His insurance was billed instantly and the process was complete. Mr. Rogers trudged back to his preferred seat in the café across the Mall’s hallway. This is your doctor, radiologist, pharmacist, and front desk blended all in one courtesy of IntelliWorkForce Inc., a publicly traded company with focus on specialized Artificial Intelligence solutions. This is the future, not a distant one! This is what we are marching into and this is what we need to prepare our upcoming generations for. Education is an extremely abstract term; its glory is in the details and the relevance of such details. At Kindi, we are working hard on these details to create a meaning for the word, to produce a generation able to take up challenges thrown its way, and to be a productive contributor to the general wellness of humanity. 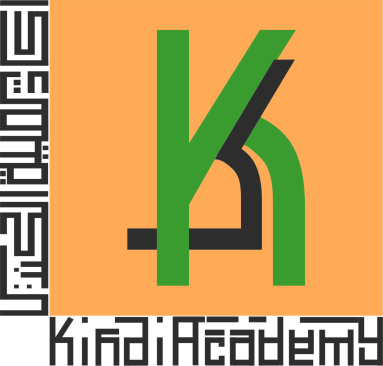 At the present time, Kindi is working on a fraction of its vision. There is a lot to be achieved and more to work on to make Kindi a hub for students’ creativity, innovation, and out-of-the-box ideas. We want our students to be equipped not just with rigorous studies in natural sciences, but also to be confident enough to be entrepreneurs, inventors, developers, speakers, authors, teachers or a mix of all of these and more. Together, we can fulfill the vision and realize the dream. It all starts here! You are in the right place! Kindi Votes for the U.S. President! Kindi's Food Drive ran from Monday, November 14th until Tuesday, November 22nd. It was a great show of support for the needy and deprived. We collected 20 food baskets each with a fresh turkey. The students in each class decorated the boxes and some had very nice messages to the recepients. Some of the boxes were donated by families as a contribution to the drive. The baskets were collected by the Lisle Food Pantry personnel. Our students and teachers helped loading the packages into the truck. On the Wednesday before Thanksgiving day, we had our traditional chicken/corn/potato/bread lunch for the school. Kindi Academy conducted its Coat (& Winter Wear) Drive for this season starting from Tuesday,November 1st up to Wednesday, November 9th. The refugees crisis reached epic heights in recent months and it is only getting worse by the day. Escaping war, destruction, and total annihilation, thousands of children, women, and men are fleeing their homeland and seeking refuge in foreign countries. The United States admitted a fraction of these refugees into the country. Our Coat Drive is meant to help these new arrivals. It was a fantastic show of support and giving by our families! Many thanks to all who participated, donated, and sorted the garments. We received 85 coats, 296 pieces of clothing, 80 miscellaneous pieces (scarves, hats, gloves), and 18 pairs of shoes. A record number of items! Many of the items were new with their tags on! This marks the largest number of pieces we ever collected. I a future newsletter, we will have some pictures from when the items were delivered to the relevant agencies. Wonderful spirit of giving and sharing. Thanks! ​Hello parents, I hope this find you all well. The second quarter is flying by and we are quickly approaching a busy holiday season. 4th graders are studying the atom, how energy is made and will soon be exploring electricity including using the snap circuits and more. They gave wonderful presentations about alternative energy and even engineered there own homes to learn about how insulation works. In 5th grade our young geologists are studying about rocks and minerals including cracking their own geode. They really loved all the samples of stones and crystals I brought in to show them what I use to make jewelry in my spare time. We will close the study of earth science with the most exciting topics including earthquakes and volcanoes. Our biologist 6th graders are deep in their study of DNA. The completed pedigrees to track family traits, and learned not only how to complete monohybrid crosses but dihybrid as well. They are excited to start the anatomy and physiology section very soon. 7th graders continue their studies of metals with topics ranging from metal reactivity to redox reactions. I must say I am proud of them grasping the tough concepts of how oxidations and reductions work to purify metal ores. They are also working to design their own medallion as a final wrap up for this unit. 8th graders continue to work on designing a paper coaster to demonstrate for the school. In addition they have tackled the challenging topics of thermal energy and have just started learning about waves which will lead into my favorite units of sound and color! Thank You Ms. Teresa! Welcome to the month of November. We are happy to report that we had an excellent October. Along with the several activities, the children had a wonderful time exploring and adventuring at the Johansen's pumpkin farm on a beautiful weather day. We would also like to add that the Kindi teaching staff enjoyed meeting with you all during the parent-teacher conference organized on the 21st. We were thrilled to receive your feedback and excited to see your hard work in upbringing of your child(ren). On October 28th, the school had organized the Character Day. Children had a lot of fun and utilized the opportunity to share their thoughts and learn also from their friends. They also interacted with the Grade 1-3 classroom students and shared conversations about their character. As for the class projects, children had been busy working on various projects and topics with the life cycle of an Apple and Pumpkin. We read a book on Pumpkin and about the facts of Pumpkin in more details. As of October, our Kindergartners are continuing their study on North America which includes learning about the countries of North America and landmarks of North America. In November, they are going to learn about the Thanksgiving and turkey. The practical life area has been busy with various activities, e.g. coloring pumpkins, collecting leaves, and observing their shapes and sizes. Further, we did printing and tracing leaves and used color diffusing paper to color them. Activities ranging from cutting apples to scrubbing pumpkin helped our kindergartners to develop gross and fine motor skills. During November, the school is hosting a Food Drive where children feel proud in serving their community and feeding the hungry and less fortunate. Another big event will be the Thanksgiving Luncheon scheduled for November 23th, Wednesday. We look forward to the 3 – 6 classrooms having a traditional Thanksgiving lunch together. Details will follow in a separate email. Lastly, we would like to thank all our chaperones and reading moms for their time and efforts. We appreciate your volunteer work in our classrooms. Believe it or not, but we accomplish a whole lot of academic excellence with your help and support. The children are developing new skills as they begin to interact more with each other and explore imaginative group play inside and outside. Outside, their imaginations have taken them to the zoo, the bus and the train. As we read stories, work on vocabulary and introduce them to new concepts, the children are fascinated and eager to learn more. The children also love to work on art with crayons, paints and water activities---therefore we encourage parents to dress them in clothes which can potentially get dirty as it is not unusual for a child to not wear an apron during these “messy” activities. The children are also going through an explosion of language. They are repeating words and learning new words every day through vocabulary cards, repetition and dictation, especially community behaviors such as saying “please” and “thank you”. Ms. Tayyaba, Ms. Rena and Ms. Shamim. Thank you! Thank you! For your hard work in making our Fall Fest a great success. Everyone had a great time and it couldn't have been possible without the support of our wonderful Kindi parents. The children enjoyed a great day learning about pioneer life at Naperville Settlement during our October field trip. Also, Character Day was great fun and the children learned about many famous people from their classmates and the fourth through eight grade students. The past few weeks have been very busy in the 6-9 classroom and will continue to get even busier with Native American tribe research and Winter Celebration play practice. ​We are fortunate to enjoy the Time for Kids magazine in our classroom. We have great discussions about different events occurring around the world with our students. Please encourage your children to bring in news and participate in the class discussion. With Election time just around the corner, we will be holding a Kid Election on November 8th. We will have a ballot for the kids to vote for the next president of the United States of America- Hillary Clinton or Donald Trump. Please do not take time off from school. This will help your children tremendously. Your children are doing well and please support them by taking vacations during winter, spring and summer break. This is recommended keeping in mind your children’s happiness. When a child is away during the school year, the child feels confused and ill prepared to enter the class again. Have ​we have much to be thankful for in the Upper Elementary classroom. Character Day was a huge success. It was great to learn about important historical figures, and it is always fun to dress up! This month, students dove deeper into geometric concepts, such as facets, edges, and vertices using the 3 Dimensional figures. This work is in preparation for finding surface area in a hands-on way. Fourth years have been busy exploring fraction operations, using materials to assist with fraction multiplication. In language, sentence analysis is becoming more complex. Students are learning more about helping verbs and indirect objects. All our students have greatly enjoyed learning about the ancient world, especially researching early life through the Timeline of Life. This interactive timeline allows the children to understand the Earth as it was millions of years ago. We also love having our guinea pig, Oreo, out to play! The 6-8th graders had a wonderful field trip this month. We visited the Mexican Museum of Art. We learned about the Mexican traditions and were able to decorate sugar skulls. We ender our field trip with a delicious lunch to 5 Rabanitos for authentic Mexican food. We have finished our study of the Second Industrial Revolution. The students, for this unit, had to design their own corporation and product. We had products range from new flavors of popcorn to a jet airplane. It was awesome to see the student’s creative juices flow as they worked on this. We finished our unit on Absolute Monarchs in Europe. We studying how the Monarchs worked in Spain, France, Russia and England. By the end of the unit, we learned that Absolute Monarchs were detrimental to Europe and saw the rise of Constitutional Monarchies. We will begin our study of the Scientific Revolution and the European Enlightenment after Thanksgiving. In Language Arts, we concluded our novel studies of Fahrenheit 451 and Life of Pi, after many interesting small group discussions. We've started The Hobbit, the exciting adventure story of Bilbo Baggins, and Pride and Prejudice, the story of Elizabeth Bennet in the 1800s. We've taken thematic essays tests, written literary analysis papers, and are now commencing our short stories. We continue to have energetic and thought-provoking discussions, as well as weekly current events. I wish everyone a wonderful Thanksgiving holiday!! We have some amazing art done by our students. For our Pre-3 and Pre 4 students we made colorful buterflies. Kindergarteners got creative witht thier spiral snakes. Lower Elementary students focused thier projects on varius types of textures. Upper Elemetary used thier small motor skills to make clay and paper -Mache sculpters. Cubs Won! How did you celebrate? IN Quran: Our young Muslims are working hard in improving their prounciation in reading Quran and in completing their meomorization of the asigned Surah’s. Islamic Studies class we are continuing studying from Grades 1-4th the proper way to make Wudu with all related matters according to grade level. Talking about the properties of Wudu water to the final steps with the proper ending Dua’a. The 4th & 5th graders were really creative in their project to design a display for a Muslim Company to present Wudu steps. Thank you my wonderful Students for your amazing work. In these pictures we are practicing for our spelling test using the Arabic alphabet blocks. The kids are practicing how to spell the words from their lesson using the letter blocks. For our older classes, As for our Arabic classes From 4th to 8th we wraped up our Greetings and Family relations unit with wonderful projects from students talking about their family and sending them greetings. While in the elementary we are covering the calendar and the weather while working on our Arabic alphabets. ​Reading is a perfect way to spend quality time with children. While helping children to develop essential literacy and reading skills, stories spark children’s imaginations and create memories that last a lifetime. Our Arabic story time with Mrs Reema Elagha . The Character Day is on Friday, Oct 28th. We are encouraging children to choose a role from a variety of community helpers such as:Nurse, Doctor, Firefighter, Engineer, Farmer, Construction worker, Pilot, Mailman etc. This is an excellent opportunity for the child to learn about different roles people play to make the community we live in. Please help your child to choose and learn about the character, so they can speak/write a few lines about who they are on that day. Also, please prepare a placard that says the name of the character, to be put on the costume. Children will display their costumes in a parade in the gym at 2:45 pm that day.